A home set at the end of a cul-de-sac in bucolic, rolling countryside had a sloping backyard with a single, large, open pool terrace for family activities. 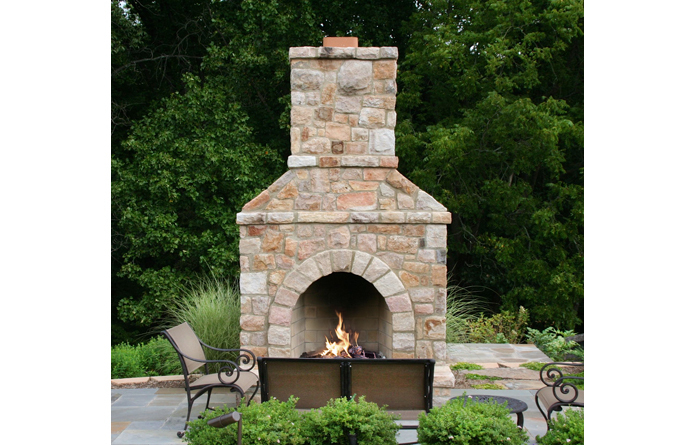 To create a space for more intimate gatherings, we designed a fireplace made of honey colored Western Maryland stone on its own level, three steps down from the pool. More steps lead to a third terrace and then descend to a play lawn and a woodland with a creek. Views to a neighboring pond were carefully maintained. 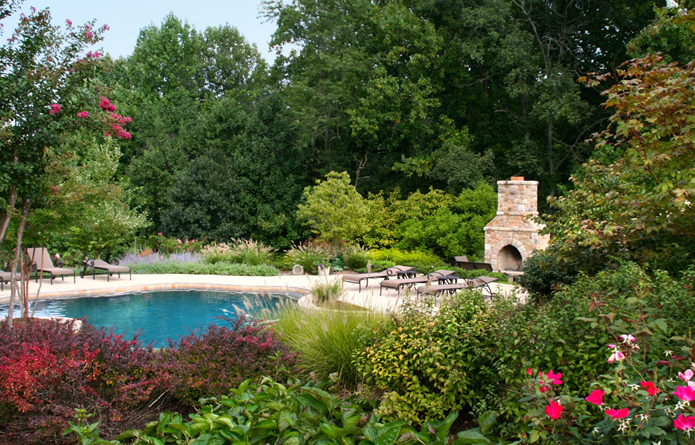 Lush naturalistic plantings of perennials, grasses, and native trees grow on all three terraces. © 2015 Carex Design. All Rights Reserved.